Many Protocase users are specialists in their field of engineering or science but don’t necessarily have specific training in metal fabrication or design. Creating optimal enclosure designs that reflect your requirements and intent can be challenging at the best of times, let alone when it’s unchartered territory. 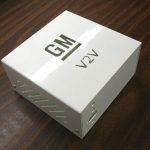 That’s why, over the past decade, we’ve created resource material to share our knowledge of sheet metal and enclosures, including the basics of enclosure design in this blog. My hope is this will act as a how-to guide to help you get started, as well as save time and unnecessary redesigns in the long run. 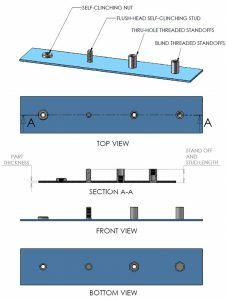 This blog will highlight five key design concepts: metal selection, metal bending, self-clinching fasteners, welding, and finishing. If you find this useful, you should also check out our other material on the Protocase resources page here. If you have any questions, please comment below or email info@protocase.com – we will do our best to get you pointed in the right direction. 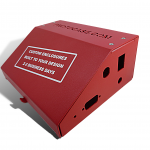 As a first step in designing an enclosure, you need to choose the type of metal you will use and its thickness. Protocase stocks all of the metals generally used to make enclosures, including aluminum, stainless steel, carbon steel (cold-rolled steel or galvanneal) and copper. Below is a description of the differentiating characteristics of each, which help you make an informed choice. Aluminum is a lightweight corrosion-resistant metal that is great for enclosures and sheet metal parts. Aluminum can be powdercoated or left unfinished as bare metal or grained finish. If electrical contact is required, it must be chem-filmed (chromate coated). Aluminum can also be anodized, which puts a hard, durable protective oxide coating on it. Aluminum has a lower stiffness than steel and in certain circumstances; a thicker gauge may be required to have the same strength as steel and meet your design needs. (Contact us if you need help with this). 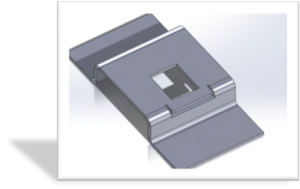 5052 Aluminum is ideal for sheet metal enclosures and parts, since it can be bent to a tight radius without cracking, as well as easily welded and machined. 6061 Aluminum is easy to machine but is more susceptible to cracking when bent to tight radii. Cold rolled steel is also used for general-purpose enclosures and sheet metal parts, about as often as aluminum. It offers a good combination of cost and stiffness and has long-term durability in indoor applications when finished with powdercoat. Cold rolled steel is not inherently corrosion resistant; if your application requires this, your best options would be aluminum, stainless steel or galvanneal. Stainless steel has high strength and the stiffness of cold rolled steel but is highly corrosion resistant because of its chromium and nickel. Stainless steel can be powdercoated or left unpainted as bare metal, or grained finish which gives that sought-after brushed look. Galvanneal is a low-carbon steel that is coated with zinc and then annealed so that the zinc bonds via diffusion into the substrate, thereby preventing flaking. The coating makes it much more durable than cold-rolled steel in wet environments, though not as durable as stainless steel or aluminum. Copper is soft, flexible and ductile metal with very high thermal and electrical conductivity. It is most commonly used for bus bars, but from time to time, I will have a request for an enclosure. When dealing with this metal type, torquing fasteners into tapped holes must be done with care because of its softness, so self-clinching fasteners should be used where possible. Protocase stocks copper alloy C110 1/8 hard, which has very high conductivity, along with exceptional formability, and is ideally suited for electrical and electronic applications. 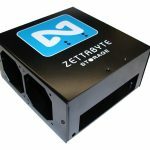 Keep in mind that if you choose to work with stocked materials, we can build your enclosure, parts or components in 2-3 days. However, we can always order other metals if your design requires a different type – it would just take a few extra days on top of our 2-3 day turnaround. To give you a sense of sheet metal thickness, please refer to the table below for our stocked materials. The gauges shown are based on American CRS sheet steel manufacturers gauge thickness. (Note that, although gauges are given for aluminum, they are typically not used for aluminum; the actual thickness of the aluminum is more internationally recognized). One of the major challenges for a designer who is not completely familiar with sheet metal is what gauge to use, as they all seem the same on paper unless you have the benefit of experience. 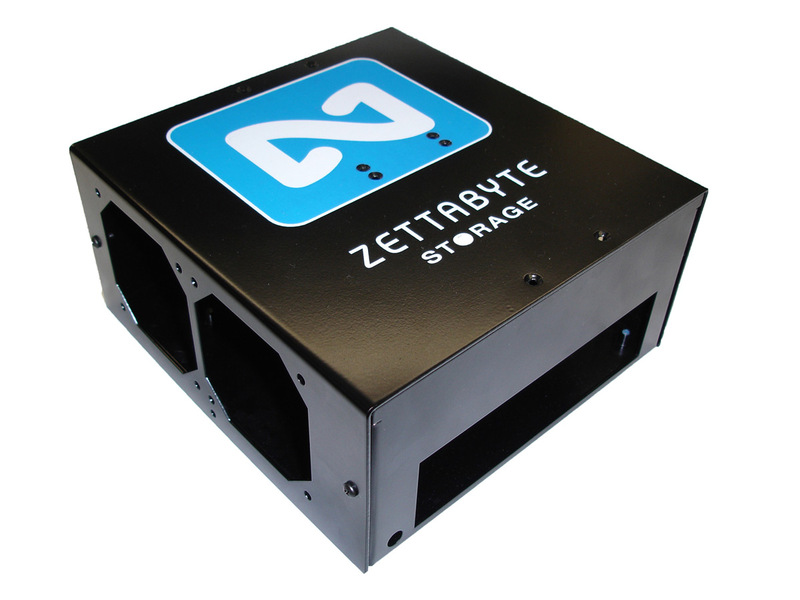 If you are looking for a place to start, check out our online template generator or Protocase Designer (our free 3D enclosure design software). 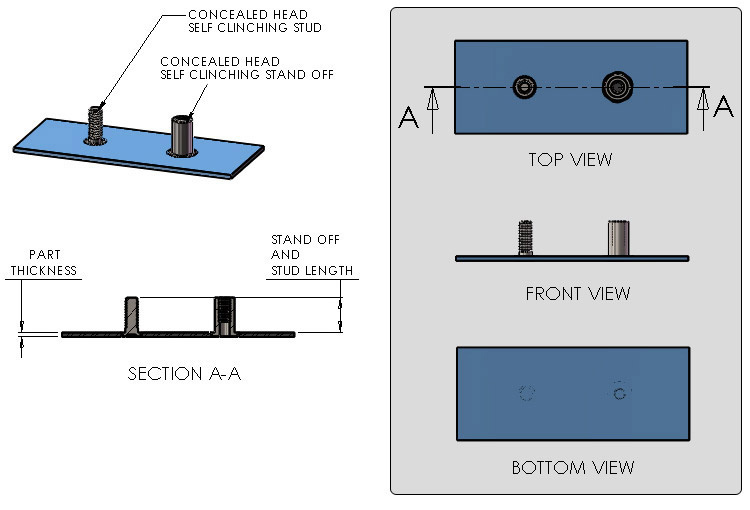 These tools will help you create an enclosure that will either be exactly what you need or very close to similar dimensions. For copper, please refer to Stocked Gauges for CR Copper. At Protocase, your enclosure is custom built for you, meaning you can specify just about any cutout you wish. These typically include functional cutouts for connectors, displays, switches, etc. However, we often see creative cutout designs, including company logos, brands, or product names, and creativity around ventilation cutouts, thereby combining form and function. Hint: Check out our cutout library, which can be found on our website here and in Protocase Designer. 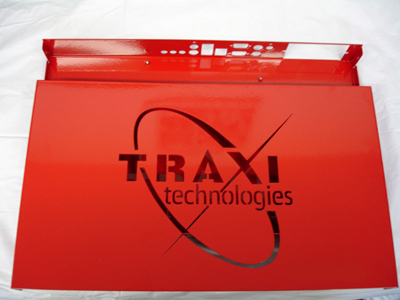 Sheet metal enclosures and parts are bent with a press brake or a folder. The metal typically cannot be formed into a true 90-degree edge, but rather, the corners have a radius, as you can see in the diagram below. Different degrees of curvature can be achieved by using different tooling and bending parameters. As the designer, you control this by specifying a bend radius – which is the radius of the inside surface of the bend (the outside radius is just the inside radius plus the metal thickness). Functional considerations: You do not have a flat surface for fasteners, components, or cutouts until you are clear of the bend radius. Aesthetics: For example, ‘retro’-style designs often have large radii for a curvier feel. Consider your intentions for both aesthetics and functionality when designing so that you select the proper bend radii for your needs. Ideally, you should only design with radii that can actually be built; you can check out our bend radius capabilities chart here and match our equipment and tooling constraints to your design. But if you can’t decide, we suggest picking something reasonable (0.040” for example) and we will adjust it for you before manufacturing. Special consideration must be given to the intersection of two bend lines (i.e. the corner) of an enclosure. 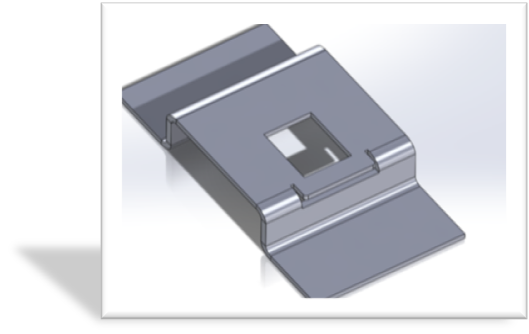 Specifically, the extra material must be removed in order to prevent bends from interfering with each other; this is called a corner relief (corner trim in CAD). If you don’t include the correct corner reliefs, we will add them for you. If you use Protocase Designer, the templates will do this automatically for you. Generally, cutouts should stay a minimum distance away from the bend radii, because a cutout too close to a bend radius runs the risk of the cutout stretching or flaring. I often get asked by customers how far a cutout should be from a bend. This value is driven by the material type, thickness and tooling used to bend or bend radius required. Refer to our Material Bend Radii and Minimum Bend Size Chart for this value. Whatever minimum bend value you choose for your design, you must then make sure your cutouts are at least that same value from the bend. For example, if you are using 14 gauge Stainless Steel (A240 TP304 2B) and opt for a minimum bend of .275”, then your cutouts must be no closer than .275” to a bend. By using the minimum bend dimension value for your minimum closeness of cutout to a bend, you will ensure you run into no issues.I often get asked by customers how far a cutout should be from a bend. The simple rule of thumb is to make sure the cutout is the distance equal to the minimum bend radius away from the bend. Thus, you will ensure there will be no issues. If you must place a cutout close to a bend, I recommend contacting us, as we can work together to meet your design requirements. You also have the option to notch the bend out in that area, which will leave your cutout in perfect form (see below). 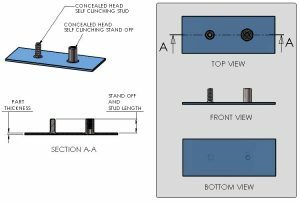 Self-clinching fasteners are threaded nuts, studs, standoffs and other styles that are pressed into sheet metal to provide solid fastening points. 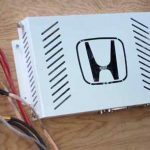 Nuts can accept screws (an arrangement that is much more robust than tapped sheet metal), standoffs can be inserted for mounting circuit boards and studs can be used for mounting connectors. Often referred to as PEM ® brand self-clinching fasteners (PEM stands for PennEngineering & Manufacturing Corp.), self-clinching fasteners are extremely useful and have solved a lot of component-mounting problems through the years. 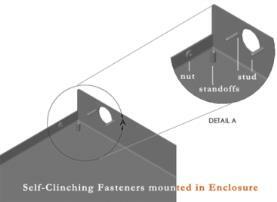 Below are some examples of self-clinching fasteners. Welding can be used to solve certain problems such as creating complex parts (welding pieces together to make one part), creating watertight joints, or adding strength to an enclosure. We offer spot welding, seam welding, and tack welding. 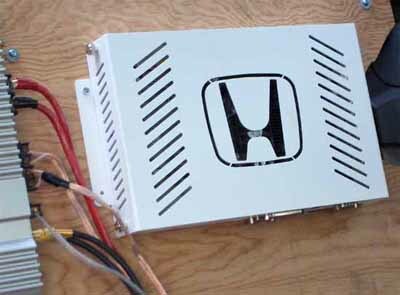 Spot welding – This is a fast, efficient and inexpensive method for permanently joining two pieces of sheet metal in one or more spots. Unlike threaded fasteners, spot welding leaves little trace of the joint. 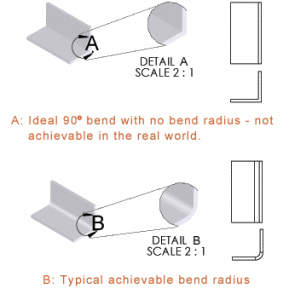 There are some dimensional restrictions to consider, due to the geometry of the welding equipment, as per the diagram below. Spot welding is compatible with all of our stocked cold-rolled steel, stainless steel, and galvanneal. Seam welding – This is useful for continuously joining two or more pieces of sheet metal so that they appear seamless. We use Cold Metal Transfer (CMT) welding, which is, at first glance, similar to wire-feed MIG welding. However, in MIG welding, the filler metal transfers via sputtering at very high temperature. 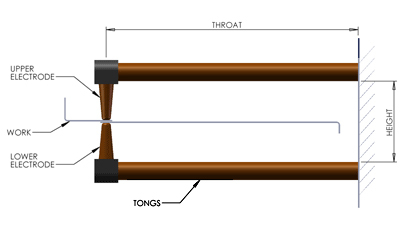 In CMT, the wire is heated enough to melt the tip and transfer occurs by physical contact. By only generating one-tenth of the heat of MIG welding, CMT only generates one-tenth of the heat of MIG welding, which prevents warping or melt back, even for thin sheet metal. In most cases, excess metal is then removed by grinding. The resulting continuously joined seams are useful for weatherproofing and reducing EMI leakage, as well for achieving a seamless look and feel. 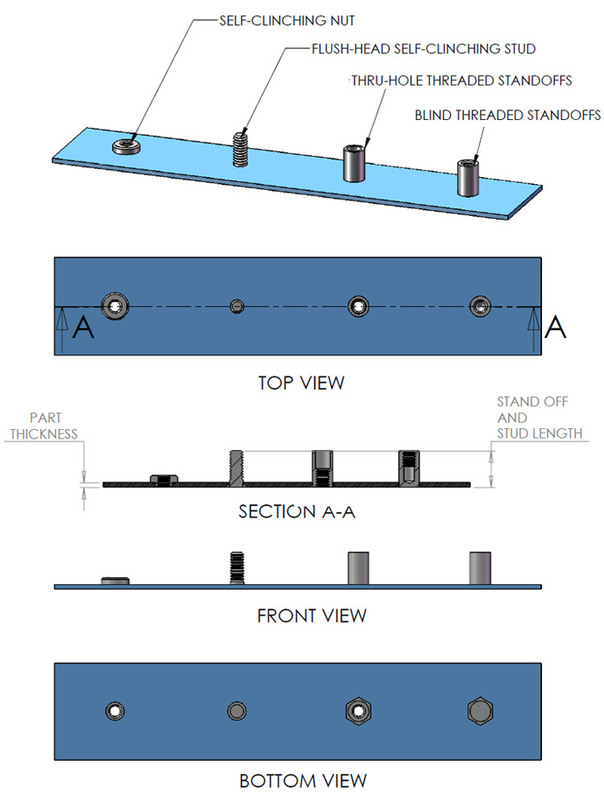 Tack welding – Done in exactly the same manner as seam welding, but in discrete segments. Powdercoating is a type of dry thermoplastic powder, applied electrostatically, and fused on bonded to parts in an oven. Available in a variety of colors, gloss levels, and textures, powdercoat is widely recognized as the industry standard for painting metal, as it provides a cost-effective high quality, highly durable finish. Another advantage of powdercoat is the various textures available. For example, sandtex (rough) finishes excel at hiding fingerprints, which is optimal for electronic enclosures. 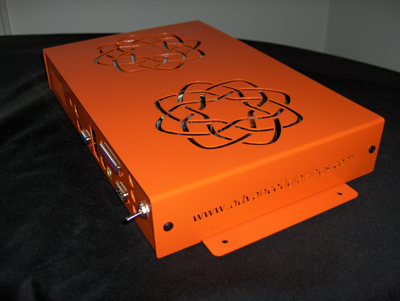 When powdercoating, the paint will add an extra layer to your enclosure. Drawing dimensions refer to the underlying metal and not the coating! I recommend allotting an additional .003” – .005” per side on you cutout dimensions (i.e. if you have a 1” part to insert in a panel, make the cutout 1.006” to 1.010”). Otherwise, cutouts may not be big enough, and your parts will not fit. To specify powdercoat, simply choose a powdercoat with appropriate color and texture for your needs, and attach a note to the design you are submitting. You can find a list of stock powdercoats here. We also have access to wide range of non-stock powdercoats, subject to extra lead time and batch charge. Note: We automatically mask threaded fasteners on orders before powdercoating, to prevent problems. Customers may request additional masking; this is mostly used when bare metal is required for electrical contact purposes. 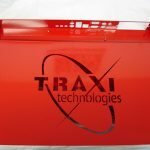 Digital Printing and Silkscreening are finishing techniques that will give your design a professional look and feel. 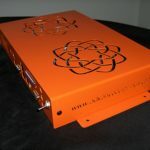 Both printing techniques allow you to clearly label your enclosure, part or component for identifying connectors, switches, ports and more. Digital printing is also excellent for graphics, such as company logos or artwork. 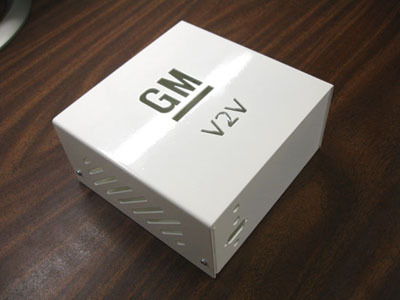 Both digital printing and silkscreening can be applied to flat panels, parts, and assembled enclosures. While digital printing has become the default choice for many designers, each process has its own strengths, which may make one or the other better suited for your specific application. Chemical Conversion Coating is often referred to as chem-film or chromate coating. When we apply chromate to the metal substrate, it creates a corrosion-resistant and durable surface (similar to stainless steel) that exhibits stable electrical conductivity. Anodizing is an electro-chemical process used to prepare the surface of non-ferrous metals, most commonly aluminum, to make the surface harder and less likely to corrode. The anodized surface actually becomes part of the aluminum; therefore it will never peel, chip, or flake off and under normal use, will never wear through. We offer anodized finish through a third party contractor, and thus it requires additional lead time. Tin Plating is a simple immersion technique that deposits pure tin onto copper. At Protocase, tin plating is usually applied to improve corrosion resistance, electrical conductivity, and solderability. We typically plate Protocase custom-fabricated copper bus bars. However, we also plate client-supplied parts if needed. No Finish – Part is de-burred with no additional finishing, and may exhibit small scratches or swirl marks. This is cost effective but only useful for functional parts that will not be on display. Grained Finish – Part is de-burred, and then given a specific linear grain direction via brushing. Tumbled Finish – Smoothens and imparts non-directional finish via tumbling in abrasive medium (similar aesthetic to frosted glass). If you are looking for more information on any of the finishes listed, please check out our website here. 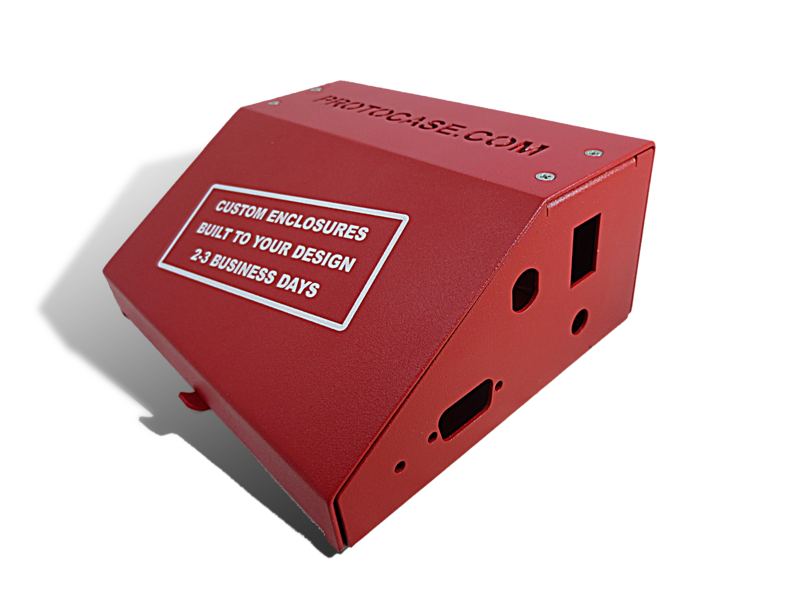 Another thing to consider when designing your enclosure is the variances in dimensions that are an inevitable part of manufacturing. Major sources are positional error and kerf variation during cutting, variances due to metal composition and imperfect modeling of stretching that occurs during bending. Also, I’ll remind you again that dimensions are for bare metal – if you add powdercoat, allow 0.003” to 0.005” extra. See Protocase’s standard tolerances here. Stay tuned for my next blog, where I’ll dig deeper into minimum bends and cutout placement. 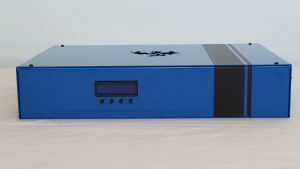 Protocase delivers a whole new experience to engineers and design professionals by delivering custom electronic enclosures with unmatched speed, simplicity, and service.